← What .. Can’t this guy read? Thanks to my SEBT colleagues in Moscow for great meetings this past week in Russia. It was a highly successful visit, connecting with all the right people in the government and VC community. Long story short: these are some incredible people; really smart folks, with whom I engaged. I am honored to have been accepted into their midst. Certainly, not all work and no play .. I had time to do a few walkabouts. Time for lots and lots of pictures. My hotel was a block from the Kremlin, in the heart of of the shopping district, right in the center of town. Seriously in the center of town .. check out the Metro (METPO) map; my stop was dead center, at the intersection of the red and green lines; my station name starts with OXO (click the image for a larger version). I was glad I bought a new coat for the trip, and that I had a hat and gloves. A scarf would have been a welcome addition .. stylish, to boot. 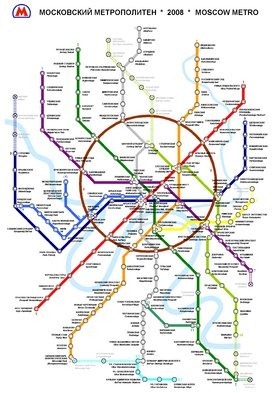 I got quite adept riding the Moscow Metro system to get most everywhere I needed to go. The key for me was noting the first three (Cyrillic) letters of the last stop (to ensure I was on a train going in the right direction) .. reach out to me (opsan@opsan.com) if you find yourself traveling. Happy to assist. Despite excellent directions (Metro only gets you to the target stop .. not to places above-ground), I did get lost once; just once. I couldn’t have asked for nicer weather, albeit a bit cold. Nice and clear, as you’ll see from the pictures. Pineapple. It was everywhere: at every breakfast, in sauces and as garnish for dishes. I’m guessing that as it’s a great source of Vitamin C, and oranges don’t grow in the climate, that it’s a treat, yet a dietary staple. Other Tropical or “down-under” fruits made an appearance: Kiwi, Papaya, Mango. My guess: Cuba and the need to avoid Scurvy. The employee-to-customer ratio. In every business I observed, there were receptionists, waiters, managers .. plenty of folks to take care of customers. Most weren’t very busy; there were lots of paperback novels and Sudoku books to be found .. but they were definitely on duty. Even with such over-staffed conditions, service wasn’t very good, even at the nicer places I visited. Umm .. it was downright bad, actually. The SportsDo track of my walk around the Kremlin. English version of the Kremlin home page. The Best of Russia Kremlin page. 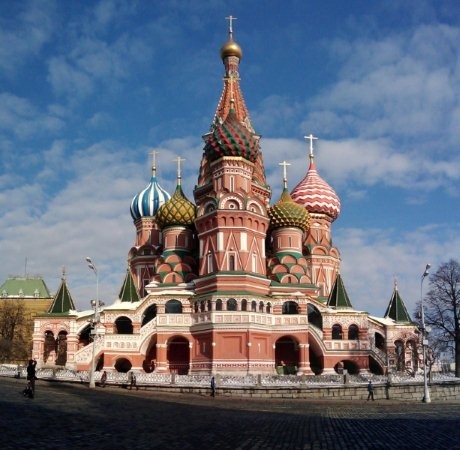 My Windows Live Slideshow of Moscow Pictures. Kids made out like bandits; I brought Cassie a Matryoshka doll, t-shirts and Cossack hats for Connor, Conner and Hunter.